Master data management (MDM) is essential to the success of customer relationship management (CRM) optimisation, according to a report by Gartner. The research firm said that companies need a 360-degree view of the customer that combines all data that is currently held in different places, and that this information needs to be checked for duplicates before businesses can produce a true understanding of the customer. This large-scale unified approach is known as MDM, and Gartner sees it as critical to businesses as CRM or ERP is. It called for a "holistic, multichannel view" of a customer's activity with a company, which it said opens lots of possibilities for improved customer service, sales, marketing, and e-commerce. Gartner predicts that any company operating from now through 2017 without employing MDM will get misleading results that irritate customers and result in a 25 per cent reduction in potential revenue gains. "Over the last several years, CRM software sales have outstripped overall IT spending," said Bill O'Kane, research director at Gartner. 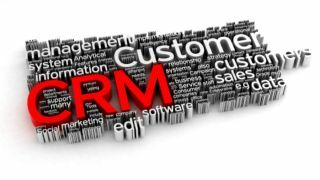 "CRM leaders must understand the benefits of the MDM discipline to CRM and make it part of their CRM strategy. MDM is critical to enabling CRM leaders to create the 360-degree view of the customer required for an optimized customer experience."